Calf value is not price per pound. 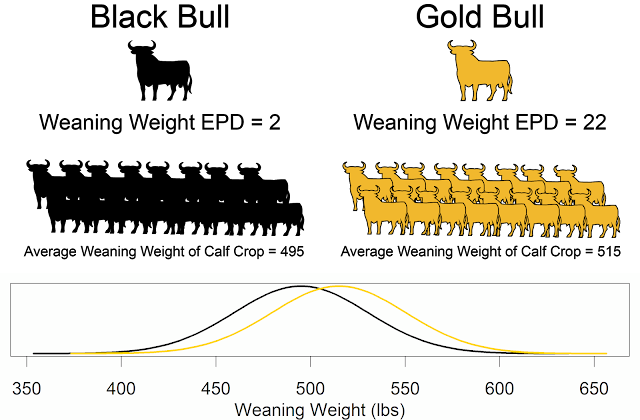 Calf value is the sum of genetic and management decisions and cost. Many factors go into management decisions, including genetics, reproduction, preweaning care, weaning, and marketing. Since the 1950s, we have been concerned with matching cattle to their environment. Need to match forage availability and stress of the environment to the milking ability, mature size, ability to store energy, stress tolerance, calving ease, and lean to fat ratio of the cow (see Texas Adapted Genetic Strategiesfor Beef Cattle I: An Overview for more information). 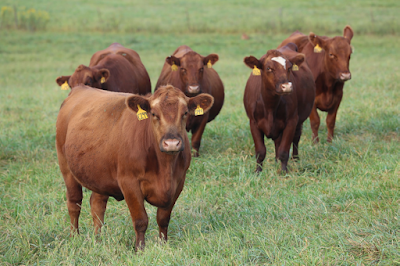 The first step is to select the breeds you will use in your operation; breed averages can be used to make these decisions (see Texas Adapted Genetic Strategies for Beef Cattle V:Type and Breed Characteristics and Uses for more information). Your cattle need to have an identity. Brahman bulls used on British heifers have a higher birth weight; need to be very careful with this. There are two different breeding systems. Hybrid vigor makes up for a lot of mistakes. Functional cows don't have to be pretty. You might be in love with your cattle or bred, but what about buyers down the line?